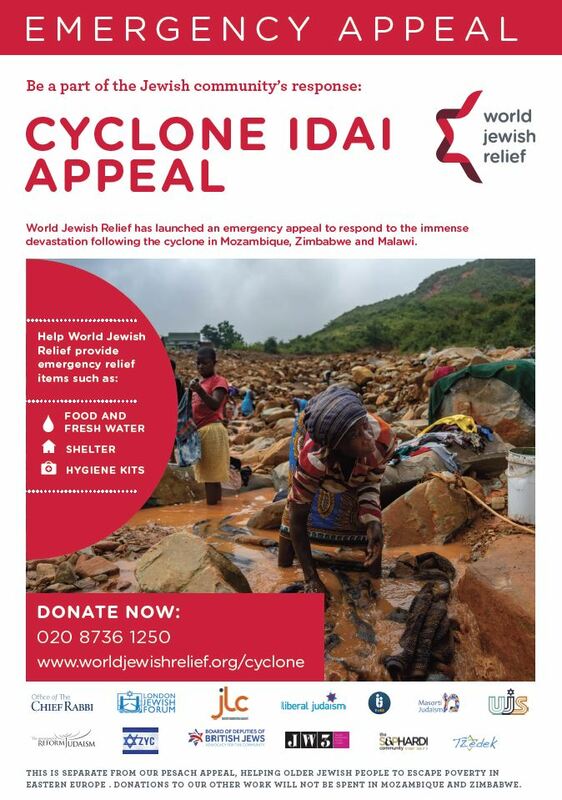 The news crews and humanitarian agencies are only just starting to access the worst hit areas and have found a trail of devastation left by the cyclone with roads and bridges destroyed, villages submerged and people seeking refuge on rooftops. On Purim we read about how the fortunes of the Jewish people changed so dramatically in such a short space of time, “It was turned around for them from sorrow to gladness, and from mourning into a celebration.” Unfortunately, Cyclone Idai reminds us of just how quickly our circumstances can change in the opposite direction, the fragility of life and the power of the natural word to turn lives and livelihoods upside down. 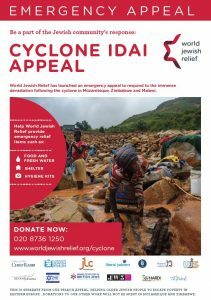 As well as being able to fulfil the mitzvah of Matanot L’evyonim, Purim is also an opportunity to think about helping those beyond our own community and to be inspired by our Judaism to reach out to those in dire need.